The Newgrange pattern is named for the intriguing scroll design of ancient Celtic timepieces. 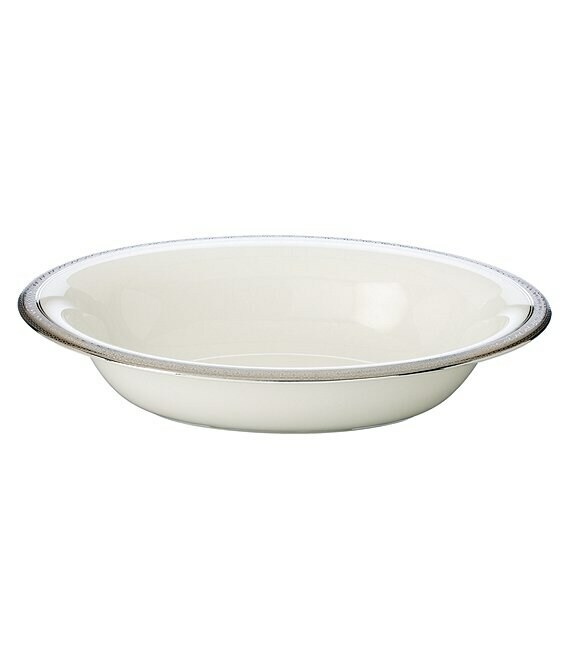 Like its inspiration, this oval vegetable bowl from Waterford features an artistically-etched platinum design on white bone china. Approx. 9.75". Dishwasher safe. Imported.